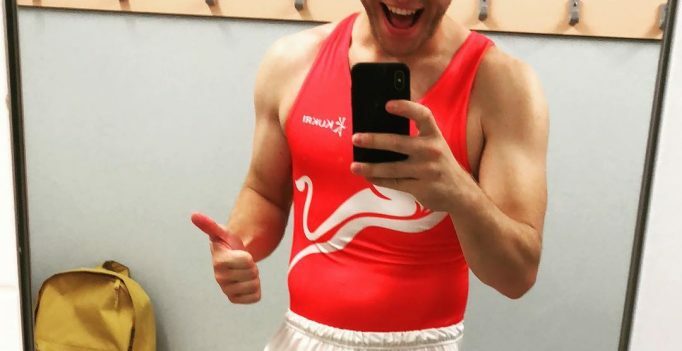 Olly Murs dresses to the left! 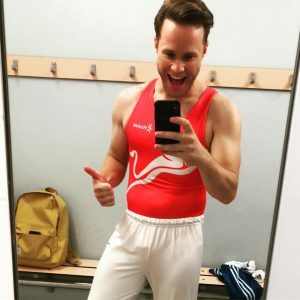 English singer-songwriter and TV presenter Olly Murs first entered the public spotlight during the sixth season of The X-Factor back in 2009 (the year won by Joe McElderry and which also saw Stacey Solomon finishing behind both McElderry and Murs in the final week). Murs has since gone on to present the show that shot him to stardom, as well as release five solo albums, and is currently writing a sixth studio album whilst being a coach on The Voice. Fortunately, almost a decade after he first appeared on our screens, the road has not owned him and he’s still looking as fit as. How does he still look so good? Well working out is one easy answer, and as the following gym-leaving pictures ours from Splash News show; he’s pointing > way! If that juicy bit of meat isn’t enough to tease you, Murs once agreed with Sacha Baron Cohen’s comments that every man has “homosexual tendencies” and that his (homosexual tendencies) are 30% saying that he was “probably the same, or maybe 20%”. Well, I know what 20% I want! Follow Olly on Instagram @ollymurs.